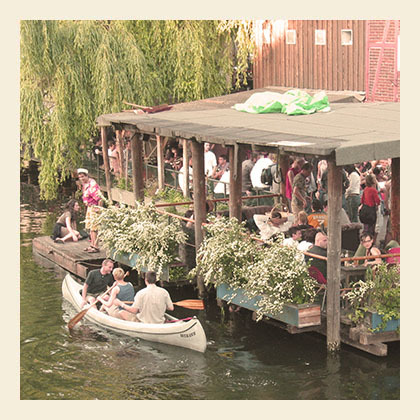 It is Berlin summer time, and one event is chasing the next one. During the next 3 weeks Berlin is hosting the 54th German – Amarican Volksfest. Starting this Friday and lasting for the next 24 days, this Volksfest at “Hauptbahnhof” offers various things that bring the American culture closer to us Germans. So we are speaking of food, music (live concerts by Eb Davis, Modern Earl, Larry Schuba & Western Union, Helene Fischer (Double), Keith Tynes, Andrej Hermlin and his Swingorchestra, Cool Cats. Sgt. Wilson presenting his Army-Show in real uniforms and Swing Music), Cheerleaders, Muscle Cars, Rollercoasters and much more. The Volksfest opens its doors every day at 14pm. The cover fee is 2€. Also comming soon, the Berlin “Beerfest”. From the 1st of August till the 3rd of August Berlin hosts the 18th international “Beerfest” at “Karl-Marx-Allee”. As every year, you get the chance to try beer from all over the world. This year there will be 340 brewerys from 87 countrys with approximately 2400 different kinds of Beer for you to taste. But please don’t try to taste them all. We would like you to find back to the Hostel… 😉 You will also find yummy food and live music on about 20 stages.